In October 2013 the Mondulkiri Project signed an agreement with Bunong indigenous elders from the Putang Village and the Orang Village. This agreement stops logging in a large area of beautiful Mondulkiri forest near Sen Monorom. The Mondulkiri Project borders the Keov Sema Protected Area so there is a lot of wildlife, from birds, to deer, wild pigs and buffalo. There are many beautiful waterfalls, swimming holes, valleys…..it is a very special place. The Mondulkiri Project is very important to me because i would really like to take care of the forest. It is difficult. The local indigenous community needs to have an income. To make money they are cutting down the forest to sell the timber to Vietnam or to clear the forest to make small farms. As the population is growing, the need for more rice is also growing. So more and more forest is being cut down. I am really worried that soon all the forest in Mondulkiri Province will have been cut down. The thought of losing this special jungle area makes me very sad. My idea is to protect the forest so it can be used in ways that will still provide the communities with an income, without losing the jungle itself. Providing elephant and jungle trekking experiences for tourists and developing traditional medicines from the jungle will earn income for the Bunong indigenous people. We will also be saving habitats for elephants and other endangered wildlife. When I was young we had 2 elephants in our village, but these days there are very few elephants left. In the sanctuaries and villages close to Sen Monorom there only 41 elephants and they are growing old. There are not many wild elephants left in Cambodia’s forests because of land clearing for timber and to make rubber plantations. The Mondulkiri Project has started a new elephant sanctuary where there are 5 elephants who walk freely around the forest eating lots of bamboo, playing in the mud and swimming in the river. There is no elephant riding by customers or staff. The elephants are very well cared for as they are part of the vision for a better life for all of the community. Our elephant sanctuary is a place where elephants get to live long and happy lives. 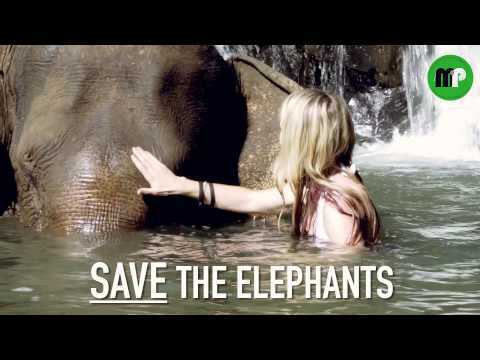 It is also important that we help the wild elephant populations in Cambodia. Our NGO donates money to help rangers remove snares that threaten young elephants in the neighbouring Keo Seima Wildlife Sanctuary. Life is very hard for the indigenous Bunong (hill tribe) people of this area. They must keep doing hard labouring work even when they are old and sick to provide food and money for themselves and their families. There are no pensions or Social Security schemes. In Cambodia families try to look after all their relatives. But the indigenous Bunong people are so poor that the whole family struggles to survive. Old people still have to farm the land, collect food from the jungle and sometimes walk more than 50 kilometres every day, just so that they don’t starve. The Mondulkiri Project improves the lives of the poor and preserves the special culture of the Bunong people. This culture is under threat as Mondulkiri Province becomes more connected with the wider world. The Mondulkiri Project creates jobs in the community which allow whole Bunong families to improve their living standards. Families are able to stay together and the older people do not have to work so hard. Thank you for reading about the Mondulkiri Project. I hope you will visit us soon. Click on the red button below for Elephant Adventure and Jungle trekking tour options.